Healthline: Why Does Loneliness Peak Before Our 30s? Before becoming a rabbi, Mark Wildes was on track to become part of the family legal legacy as a high profile attorney. He got his JD from the Cardozo School of Law and a Masters in International Affairs from Columbia University. While on this track, Mark was involved in religious studies at Yeshiva University and worked on his other passion to help “Refusenik” Jews obtain emigration rights when the Soviet Union tried to ban them from leaving. During this time, Mark somehow also became active in reaching out to NYC’s less affiliated Jewish community. He was troubled by the growing number of young people distancing themselves from their Jewish heritage and the community as a whole. So, while in graduate school, he ran an outreach program in his native Forest Hills, Queens and became ordained as a Rabbi, not really knowing which way he would go professionally. So – he went with “Rabbi” and has since dedicated his life to bringing the beauty, warmth, spirituality, wisdom, and community of Judaism to those Jews farthest from it. It’s been a crazy ride ever since. Rabbi Mark remembers perfectly the first day MJE opened with a beginner’s Hebrew class and 18 people showed up. Then came the ever popular and uplifting Shabbat dinners, weeknight classes, and no-Hebrew-necessary Beginners Services. This led to added Ski and Spring Retreats, summer trips to Israel and huge holiday parties and events, ultimately building an organization which today draws in over 20,000 attendees at its events each year to its three sites in Manhattan (UWS, UES, and Downtown). Rabbi Wildes founded MJE in his mother’s memory, mimicking the special atmosphere Ruth Wildes created with her boundless hospitality with an ever expanding Shabbat table. Growing up in my parent’s home, virtually every Shabbat I saw someone new to the Jewish community at our Shabbat table. My mother’s warm smile and beautiful Shabbat table were so inspiring to those new to the community. 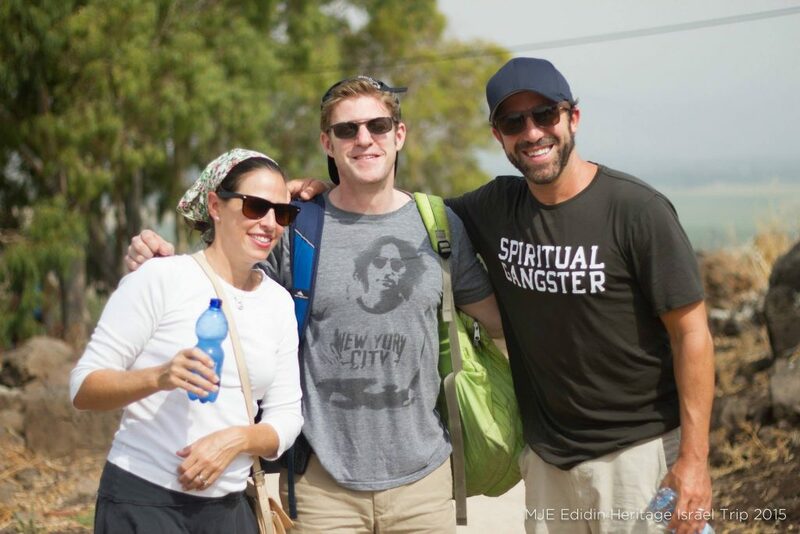 It truly served as the impetus for the creation of MJE which reaches out to those with less of a Jewish background and those with less of a connection to the community. I thought, if we could do half the job my mother did in inspiring Jews to the beauty and excitement of Shabbat and Jewish life, we would be achieving something amazing for the Jewish people. And I truly think we have, all in her memory. In this episode, Rabbi Wildes goes to the streets to find out what New Yorkers think about the concept of “Free Will”. Do our decisions actually matter? Do we really control our own fate, or is everything predetermined? He then sits down with MJE West Director Atara to really get into it, and the two have a very interesting philosophical discussion on free will and fate. In these trying times, it is hard to stay optimistic. In this Episode of Street Torah, Rabbi Mark Wildes hits the streets to ask NYers if they’re optimistic, and if so, how they stay hopeful when things get tough. He then sits down with Rabbi Ezra Cohen to discuss Judaism’s take on faith and optimism, especially as it relates to Teshuva and the tremendous opportunity we are given during the High Holidays to make positive change in our lives and in the world at large!